An Enactus Essex project for Women displaced by flooding in Nigeria to have a more sustainable Life. We are raising minimum of £500 to fund this project named, Heart for Nigeria. This is a social enterprise project which will help build sustainable lives for our beneficiaries in Nigeria. It will help start up the empowering process of some Internally displaced women have no skills, job or formal training. Every penny raised on here will go directly into empowering our beneficiaries in Nigeria.. You will be helping these women achieve relevant business skills in soap/bag making, social skills to help integrate them back into the society and entrepreneurship skills to help them become business women. For a full description of the project click here . I am Rasheedat Olarinoye. Project Leader of Heart For Nigeria - one of Enactus Essex Projects. I am using this platform to raise funds on behalf of Enactus Essex. Working with me on this project is the President of Enactus Essex - Raudhah Nazran and her VPs. There are over 2 million internally displaced people in Nigeria with lack of Federal Government help. The internally displaced persons can be called people who have been forced to leave their home due to armed conflict, natural/human-made disaster or any situation which can be defined as a violation of human rights. They are called refugees if they leave their national state borders. These wonderful souls are left to cater for themselves with no roof over their heads, insufficient food on their tables and mouths of feed. This project is targeting women that have been displaced by flooding and have settled in an IDPs camp for a period of time. They are going to learn skills in soap/bag making to improve their lives directly, their children's lives and those around them indirectly. This project is sustainable has one of it's goal is to introduce the soaps and bags that these women make into a foreign market, here on campus. This is to help them market their products while they transfer the knowledge and training, which the funds raised on here will give them,to another set of beneficiaries within the IDPs camp. Also, this project will be tackling waste management issues in Nigeria and our beneficiaries will be using recycled materials to make these products. This project is really important to us because we want to make an effort to not only raise awareness for the problems that IDPs deal with in Nigeria, but also to create a long term sustainable solution to some of these problems - lack of a sustainable source of income, low quality of life, disintegration from the society, and improper waste management. As a donor, your impacts are enormous. You will not only be helping these women learn a profitable skill which they can use to feed for the rest of their lives, you will also be impacting the lives of their children and other family members that are dependent on them. Your donation will also help integrate these women back into the society has they have been confined to the walls of the IDPs camp due to their dependence on the camp to provide them with their basic needs. With these skills, they can go out to market their products, buy raw materials to make more products and train more women to learn these skills as well. This will help boost their self esteem, confidence and pockets! Every penny raised on this platform will be directed to building a sustainable five for our beneficiaries. Women will be adequately trained on how to make soaps and bags respectively, how to manage their income to improve the longevity and sustainability of their business, how to improve their social skills and get their groove back while directly making a positive impact on their environment by recycling waste materials. The money will go into empowering more women. We are currently starting with five, more money equals to more women getting empowered. The problem with IDPs in Nigeria is a national problem. We will expand the start up to benefit 20 women! Imagine when after 6 weeks, these women complete their training then train 5 other beneficiaries each. about 100 more people will be indirectly impacted via this platform! Awesome. We are planning to expand the project to include beneficiaries in other IDPs camps around Nigeria. Thus! impacting more lives and empowering more people! These 20 initial beneficiaries will be fully empowered. They will be running a large scale soaps & bags business. They will each receive capital for them to start up their respective businesses. More money means more products products, which will be managed and monitored by Enactus Essex to ensure that it is being used properly. Updates will be communicated as soon as they happen. No delays at all. Great news! everyone that donates to this project will be rewarded. We have some cool things to give out to anyone that donates a s a little thank you! Don't forget to check them out. Check out our Video for this project. Feel free to share on your social media pages to help raise awareness for the project. Check our social media accounts to get updates on how the project is doing. Social high five. We’ll thank you on Twitter, Facebook or Instagram. 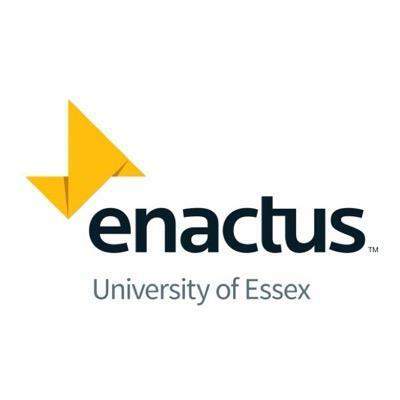 A Thank You video from Enactus Essex for your donation. You will receive a personalised Thank you card signed by our Enactus President! Thank you! You will get a unique handmade souvenir from Enactus Essex. Lucky you! You will get an Enactus Essex T-Shirt to show our gratitude. Thank you so much for your generous gift! We will be grateful forever!